Nail and Fuel cell pack for use with all angled nailers. 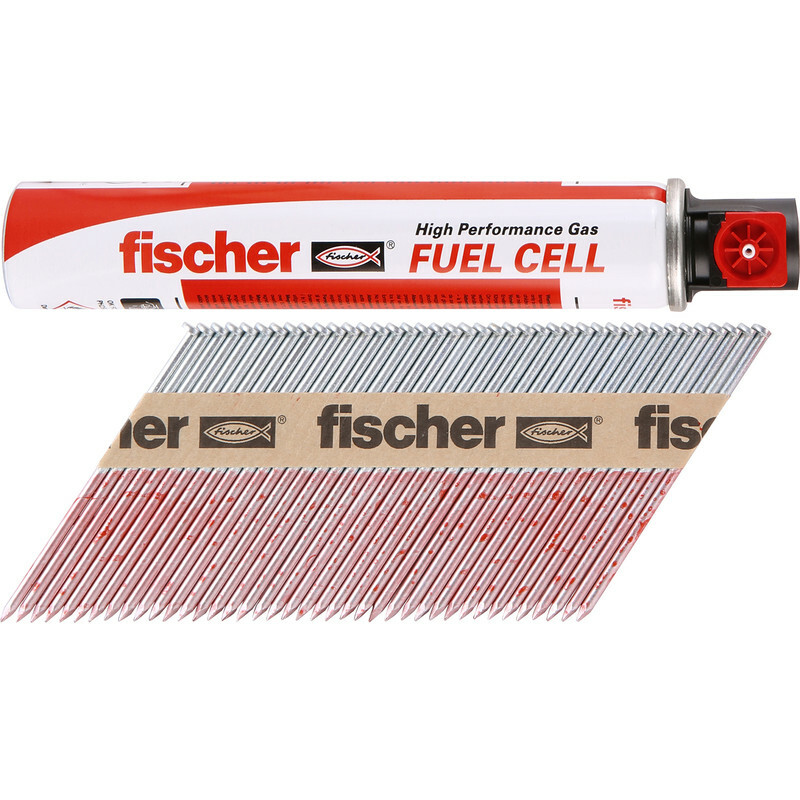 Fischer Galvanised Nail Fuel Pack 2.8 x 63mm Ring (3300 Pack) is rated 5.0 out of 5 by 2. Rated 5 out of 5 by robh1f from great nails at a great price nearly half the price of Paslode nails and do the same thing ?? Rated 5 out of 5 by DannyD from Feul cell powerful and long lasting Good nails. Fairly priced. I use Bostich and Paslode and both worked perfectly.